We are situated in the plush upmarket suburb of Durban North, just a short drive from Durban's business districts and main tourist attractions. We have tailored our B&B to offer the best accommodation experience on your holiday or business trip. Each of our B&B rooms come equipped with flat screen TV's, free Wi-Fi, tea and coffee making facilities and more. 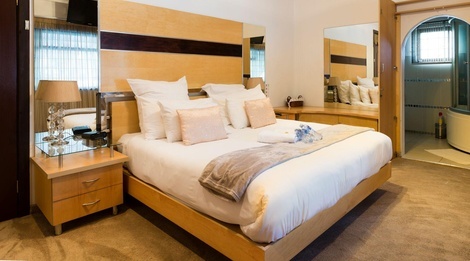 We offer 9 accommodation rooms with thermal air conditioning, en-suite showers, tea and coffee facilities, flat screen TVs with DSTV, secure parking, private entrances, wireless internet, hair dryers, swimming pool and braai facilities.